Grease traps are designed to keep grease out of the sewer system. However, for the grease trap to serve its purpose, it must be properly maintained. Regular maintenance helps reduce the risk of back-ups and blockages. Many areas, including the city of Columbia, now require regular maintenance of grease traps. 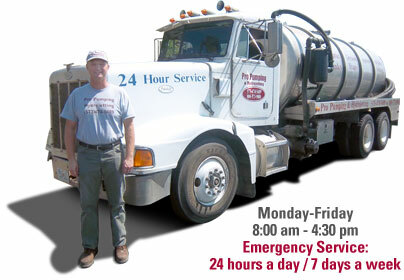 Pro Pumping offers regular grease trap service. Our staff will help you determine the frequency of service that is right for you and your business, taking into account trap size, grease volume generated by your business and other factors. We will keep track of your maintenance schedule for you. In addition, we will provide you with a log that you may present upon inspection by your city health department. The waste we pump from your grease trap is legally disposed of at local wastewater treatment plants. There are no service agreements or contracts to sign. We believe that with our knowledgeable staff, competitive prices, and customer satisfaction as our #1 goal, you will find that Pro Pumping is the company for you. Call us today at: 573-474-5489.